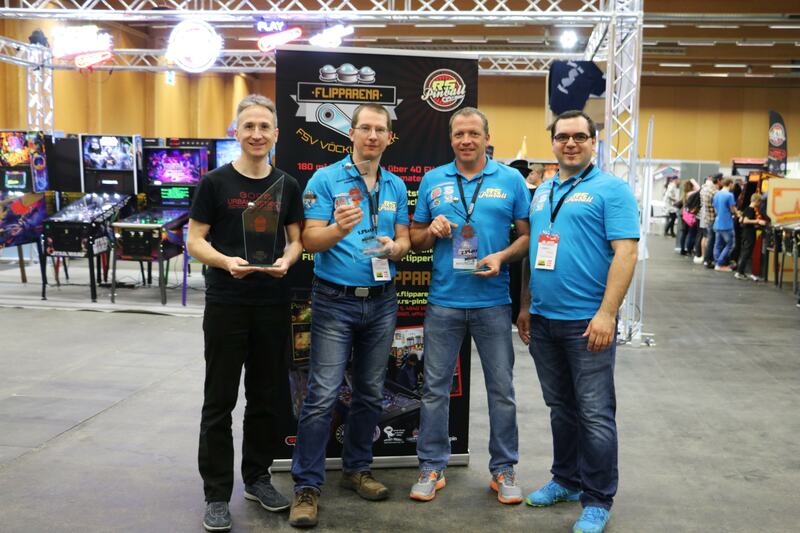 The winners of the Main Flipper Tournament f.l.t.r. 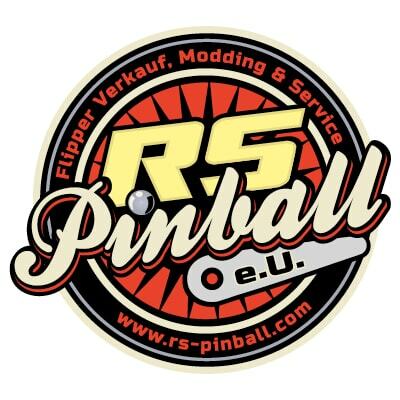 Gerhard Czoppelt (3rd Place), Roland Schwarz (1st Place), Rainer Mühlböck (2nd Place) and Club chairman of the FlippArena Stefan Riedler. The winners of the Women Flipper Tournament f.l.t.r. 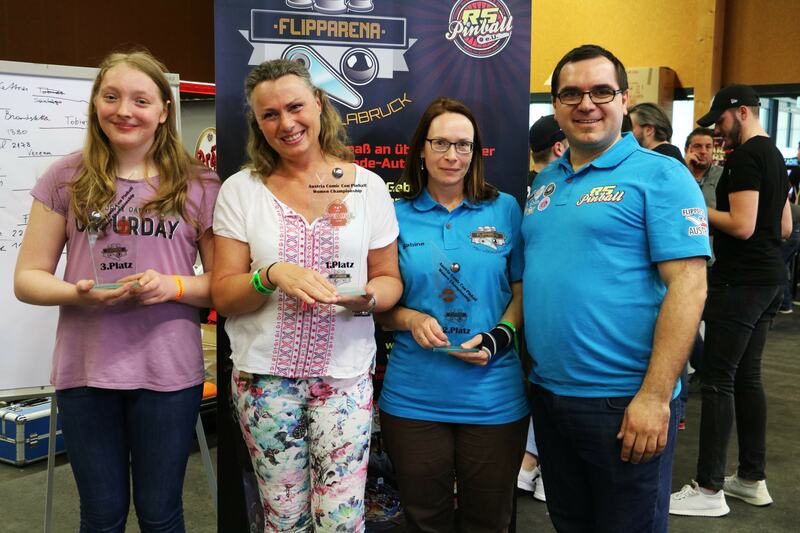 Lisa Reiter (3rd Place), Daniela Neuberger (1st Place), Sabine Ramsner(2nd Place) and Club chairman of the FlippArena Stefan Riedler. The winners of the Youth Flipper Tournament f.l.t.r. 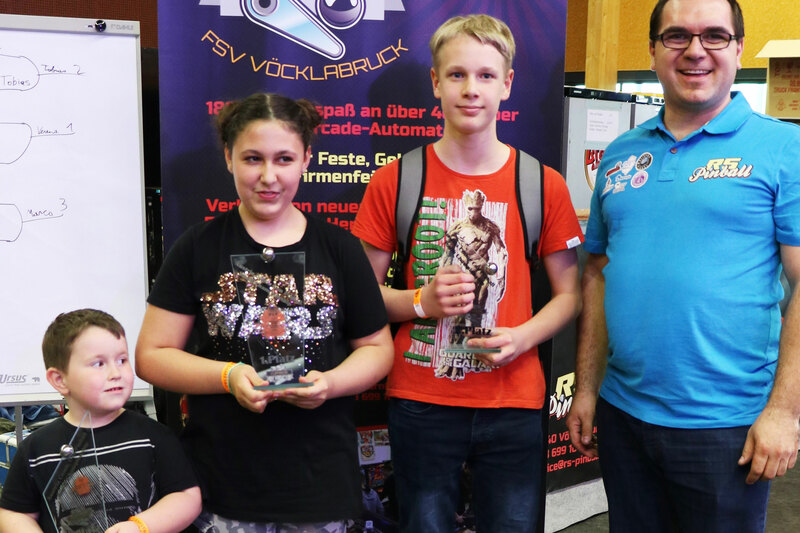 Marco (3rd Place), Verena (1st Place), Tobias (2nd Place) and Club chairman of the FlippArena Stefan Riedler. 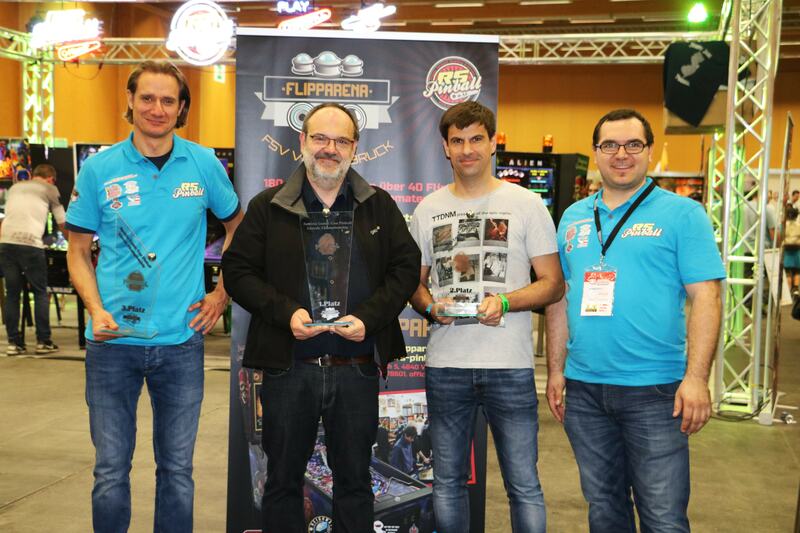 The winners of the Classic Flipper Tournament f.l.t.r. 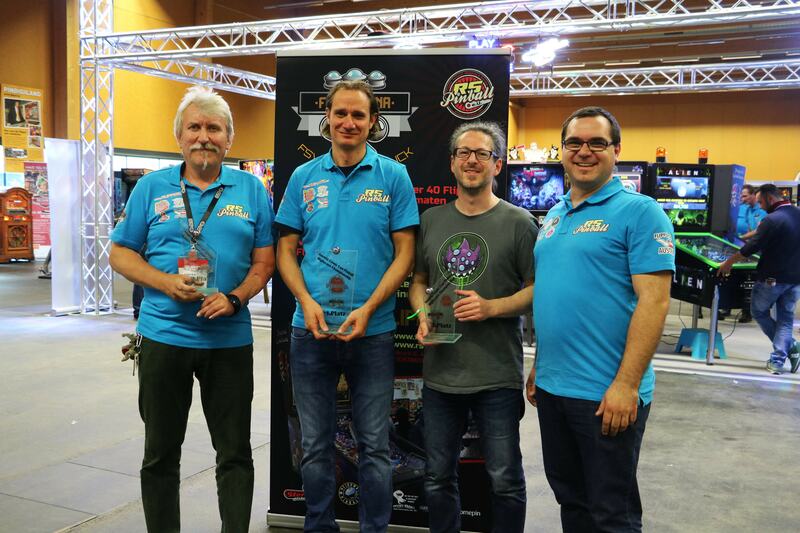 Markus Stix (3rd Place), Peter Kroiss (1st Place), Rene Stiegler (2nd Place) and Club chairman of the FlippArena Stefan Riedler. The winners of the Highscore Flipper Tournament f.l.t.r. 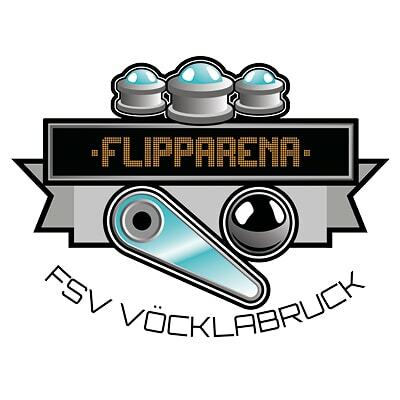 Alexander Wipplinger (2nd Place), Markus Stix (1st Place), Stefan Karlhuber (3rd Place) and Club chairman of the FlippArena Stefan Riedler.